Japanese media reported this month that Mitsubishi Heavy Industries (MHI) <7011.T> was set to scrap the Sinop nuclear project in Turkey as cost estimates had nearly doubled to around 5 trillion yen ($44 billion). Last week, Hitachi <6501.T> was reported to be considering whether to scrap its 3 trillion yen Horizon nuclear project in Britain as cost estimates had risen, while Toshiba <6502.T> liquidated its UK project this year. He said the deal, signed in 2013 between Turkish leader Tayyip Erdogan and Japan's Shinzo Abe, had been too ambitious. The project, earmarked for a country with no nuclear tradition, would have been the first to use the untested Atmea reactor developed by MHI and France's Areva (EDF.PA), the source noted. 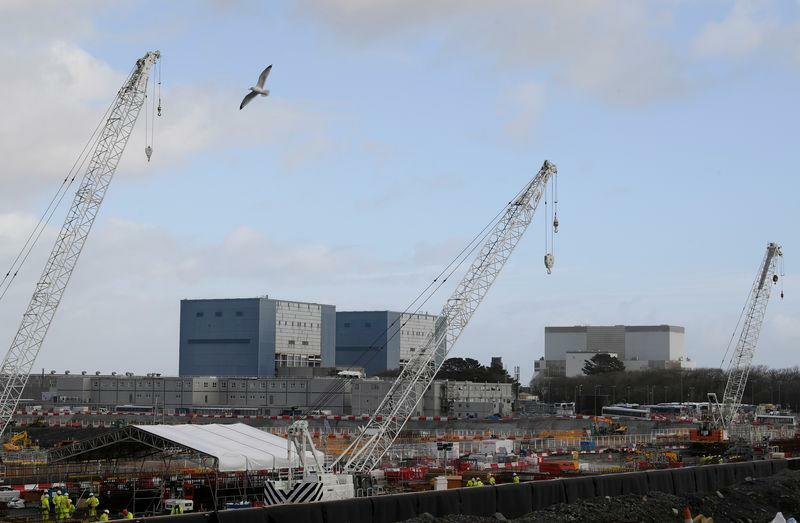 Hitachi's Horizon project to build reactors at two UK sites - the first at Wylfa Newydd, Wales - is now also uncertain. Hitachi has said it will make a final decision next year. "We've been in negotiations with the government regarding financing of Wylfa Newydd," a spokesperson said. "The political situation makes it impossible for the government to take action now ... but there are limits to how long Hitachi can wait," the executive said, referring to Britain's protracted negotiations on leaving the European Union. Nuclear cooperation will be on the agenda of Prime Minister Abe's visit to Britain next month. "The company may freeze the project unless conditions are met, but can never walk away," the source said. Toshiba last month scrapped its British NuGen project after its U.S. reactor unit Westinghouse went bankrupt and it failed to sell NuGen to South Korea's KEPCO <015760.KS>. With Japan's export prospects severely curtailed, the global nuclear market is virtually in the hands of Russia's Rosatom and two Chinese reactor builders. Two other privately owned Western nuclear firms - Westinghouse and France's Framatome (EDF.PA) - were restructured following losses and have no new foreign orders at the moment. "Without Horizon, Japan is left without a nuclear project abroad ... this is becoming a Russia/China-dominated industry," said a consultant who advises one of Japan's nuclear groups. China has a foot in the door in Britain, where state-owned CGN co-finances EDF's (EDF.PA) Hinkley Point project and has a deal to build its own reactor, which would be the first Chinese reactor constructed outside Asia. An industry source familiar with the situation said China-Argentina talks had stalled. "Something fell apart. It is not an accident that the Russians are there now," he said. "The Chinese project, if it is not canceled, it is at least postponed," the consultant said.